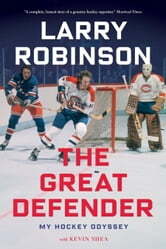 As a devoted fan of the Montreal Canadiens since the 1960s, I enjoyed Larry Robinson's story. The book is packed with verbal snapshots of games, players and incidents past, many of which brought back vivid memories. Robinson is clearly an honest, down-to-earth guy with a warm spirit and loads of positive energy, and I feel I now know a bit about him as a person. However, he's not a writer, nor should he be expected to be one, and the calibre of the craft is where I have a problem with this book. The actual writing was apparently handled by Kevin Shea. One wonders if the book ever went through a professional editing process. The loose structure, incessant repetition and frequent failure to go deeper than a simple recounting of events make The Great Defender read as if it were slammed together during a couple of weekend all-nighters. There's plenty of "who, what, where and when," but we don't get very much "why" or even "how." As a fan, I loved the story. 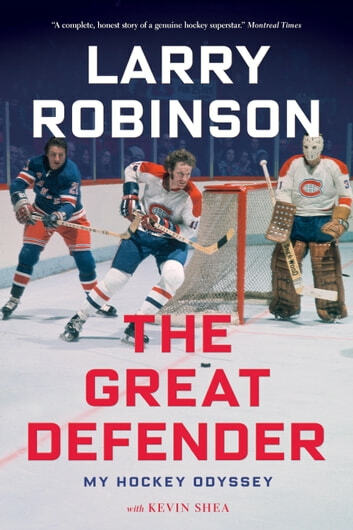 But as an avid reader — and a full-time writer and editor myself — I feel its quality does a disservice to a beloved hockey icon.